Drunk drivers pose an ongoing threat to motorists sharing the road. Even the most unsuspecting drivers may be the ones that are over the legal limit. In a recent case, an off-duty Massachusetts state-trooper was involved in an alleged drunk driving accident. His case made headlines after he refused to give the name of his critically injured passenger and did not cooperate with police after the collision. According to officers at the scene, the drunk off-duty officer refused to take a breath test. At the scene of an accident, emergency responders must act quickly to help victims get medical treatment. 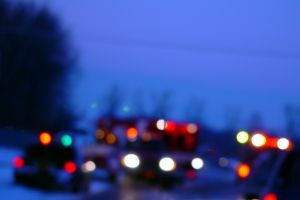 In the event of an alcohol-related accident, getting a drunk driver to cooperate can be difficult. Our Boston drunk driving accident attorneys are dedicated to helping victims get the compensation they need and deserve after an injury or loss of a loved one. In addition to providing strategic counsel and support to victims, we are also abreast of local developments involving alcohol-related accidents. According to reports, the near-fatal accident resulted in more complications for police and rescue teams when the off-duty officer failed to cooperate. The officer failed to provide a name for the injured passenger in the vehicle and refused to take a breath test. The allegedly drunk driving officer was arrested on drunk driving charges and was also charged with carrying a gun while intoxicated. Police officers arrested him at the scent after he was involved in a Route 114 crash around 12:30 in the morning. Officers who arrived on the scene reported that the off-duty cop smelled like alcohol. Police reports indicated that there was strong odor of alcohol coming from the officer’s breath when he was speaking. The off-duty officer told police at the scene that he was a state trooper but refused to give the name of his male passenger in the Corvette. He also would not inform police about where he was traveling to or where he had come from. The severely injured passenger was transported by air to the hospital. In addition to refusing to provide a breath test at the scene of the accident, the officer also refused to provide blood or urine samples when he was taken to the hospital. The off-duty officer and driver of the vehicle also suffered injuries in the accident, including cuts and abrasions. Witnesses reported that there was blood on his head and arms. Doctors and authorities have alleged that the officer was intentionally refusing to provide information and complicated the investigation. At the scene, detectives also found a loaded weapon with five rounds in the chamber. After being treated for his injuries, the officer was taken to the North Andover police station around 3:30 in the morning. He continue to refuse a breathalyzer test at the station according to police records. The passenger remains in critical condition and the prosecution requested that the officer be placed on house arrest. This request was denied by the judge since the officer had no criminal history. The officer posted a $20,000 bail, was ordered to refrain from drinking and was forced to surrender his firearms.